Activision broke its own record with $400 million in sales of MW3 on launch day. Two years ago, Modern Warfare 2 was a smash hit from day one, selling nearly 7 million copies to make its publisher very happy with $310 million in revenue. Black Ops followed suit the next year by generating $360 million the first 24 hours it was available. 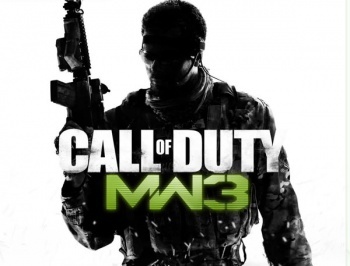 This week, MW3 sold an estimated 6.5 million copies for an ungodly amount of $400 million. Everyone wanted to get their hands on the game, including a few weirdos. The Call of Duty series has come under attack from rival Electronic Arts Battlefield 3 trying to compete on equal footing. Activision president Mr. Bobby Kotick is undoubtedly pleased with these results placing his game high atop the chart hill. "We believe the launch of Call of Duty: Modern Warfare 3 is the biggest entertainment launch of all time in any medium, and we achieved this record with sales from only two territories," said Kotick. "Other than Call of Duty, there has never been another entertainment franchise that has set opening day records three years in a row." I love that Kotick compares COD to well-known series in other mediums. "Life-to-date sales for the Call of Duty franchise exceed worldwide theatrical box office for Star Wars and Lord of the Rings, two of the most successful entertainment franchises of all time," he said. Are videogames bigger than movies? You bet your left tuchus, they are.